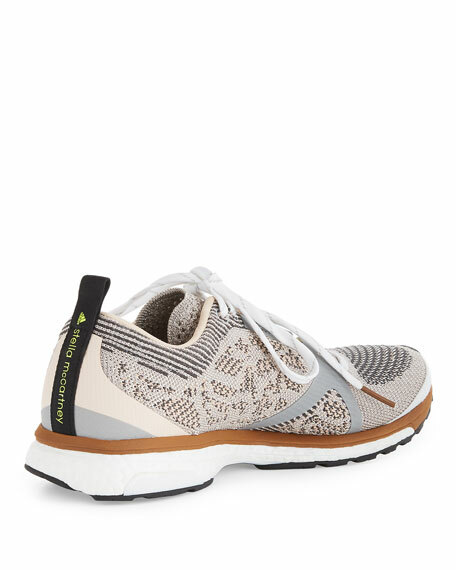 adidas by Stella McCartney "Adizero Adios" knit (polyester/nylon) sneaker. 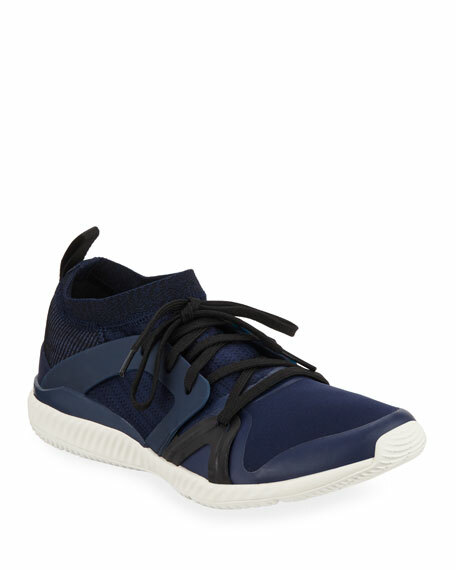 For in-store inquiries, use sku #1793605.
adidas by Stella McCartney neoprene and stretch-knit sneaker. 0.5" flat heel with slight platform. Reinforced round toe. 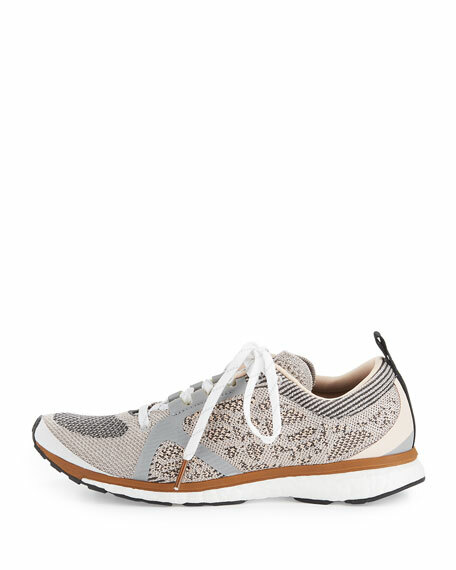 Supportive sides connect lace-up vamp. Logo at pull-tab back. Stretch-sock insole. EVA midsole. High-traction, non-marking rubber outsole. "CrazyTrain Pro" is imported. 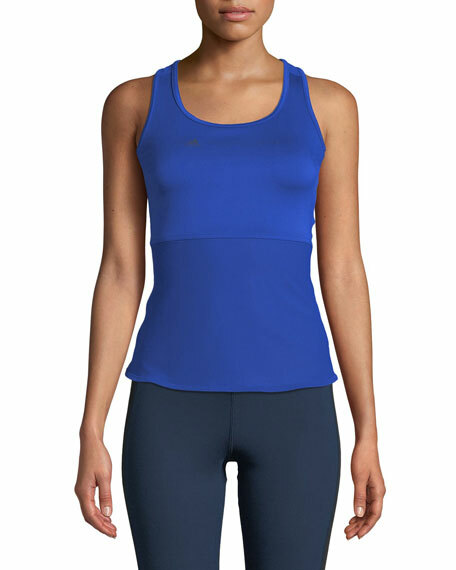 adidas by Stella McCartney performance tank. Scoop neckline. Logo at front. Mesh racerback. Formfitting. Pullover style. Recycled polyester/spandex. Imported. 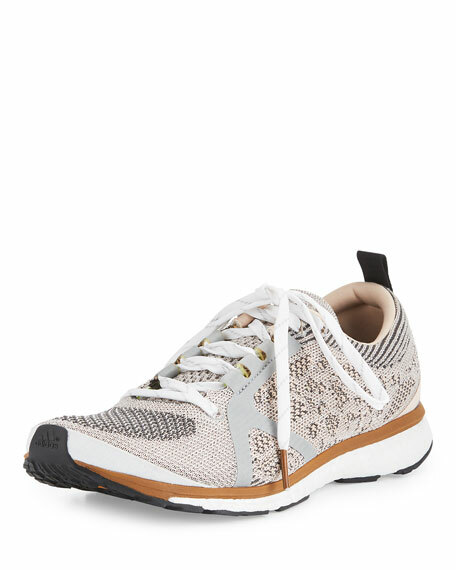 Model's measurements: Height 5'10"/177cm, bust 33"/84cm, waist 25.6"/65.2cm, hips 35.8"/91cm, dress size US 2-4/FR 34-36.
adidas by Stella McCartney colorblock stretch-knit sneakers with rubber trim. Reinforced, round toe. Logo stretch strap over vamp. Slip-on style. Pull-tab at back collar. Reinforced side heel. 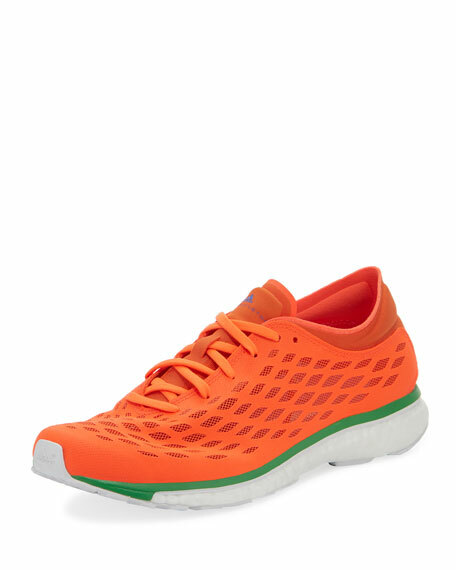 Fully cushioned insole. Boost midsole. 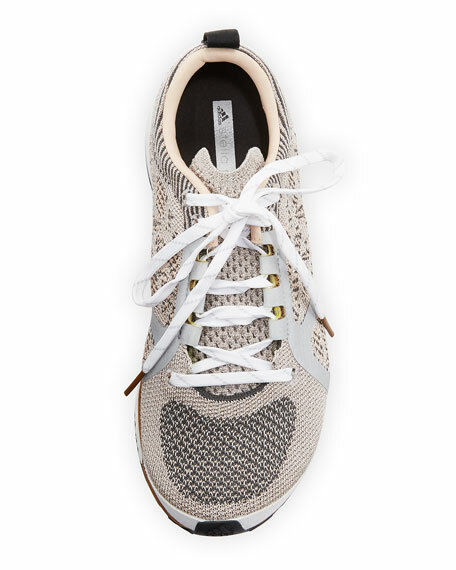 EVA outsole. 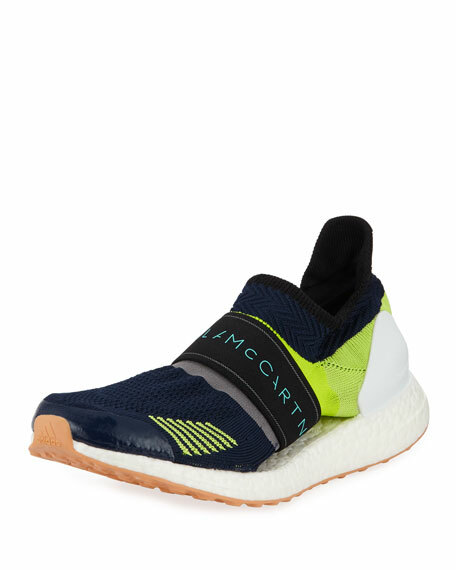 "UltraBoost" is imported.